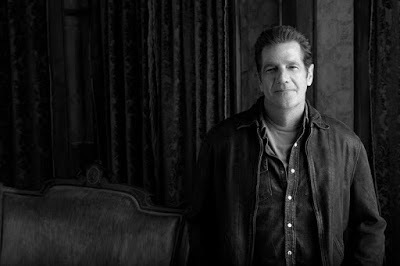 Bob Seger has posted “Glenn Song” as a free download and tribute to the late Eagles guitarist Glenn Frey on the first anniversary of his passing. Frey died on January 18, 2016 at the age of 67 from a combination of rheumatoid arthritis, colitis and pneumonia following surgery at Columbia University Medical Center in New York City. According to Rolling Stone, Seger recorded the tribute four months ago at Nashville's Ocean Way studios. "It's obviously not meant to be a hit," says Seger. "There's no chorus per se or title section or anything. The idea was just to honor his memory and talk, very specifically, about my impression of him in 1966 when we first met." Seger and Frey grew up in Detroit and were part of the same local rock scene of the mid-1960s. Seger sang "Heartache Tonight" (a song he co-wrote for The Eagles in 1979) at Frey’s memorial ceremony, a performance he revived at the Kennedy Center Honors last month. "I hope 'Glenn Song' doesn't make his wife Cindy cry," says Seger. "But it probably will." The event was a billed as one-time only special tribute to Frey, with Don Henley telling the BBC in March that it was the group’s farewell performance. The Eagles were recently named the No. 8 Rock News Artist Of The Year as part of the 2016 hennemusic Rock News Awards, where they also delivered the No. 10 Rock News Story of The Year.